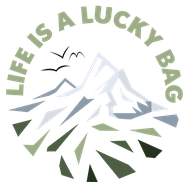 Via Alpina #1 - what to pack - Life is a lucky bag! This summer I was hiking on the Via Alpina. It's a long distance trail in the alps and I chose to hike the section which leads through Switzerland from east to west. You can download the complete list here as an eBook or as print version.